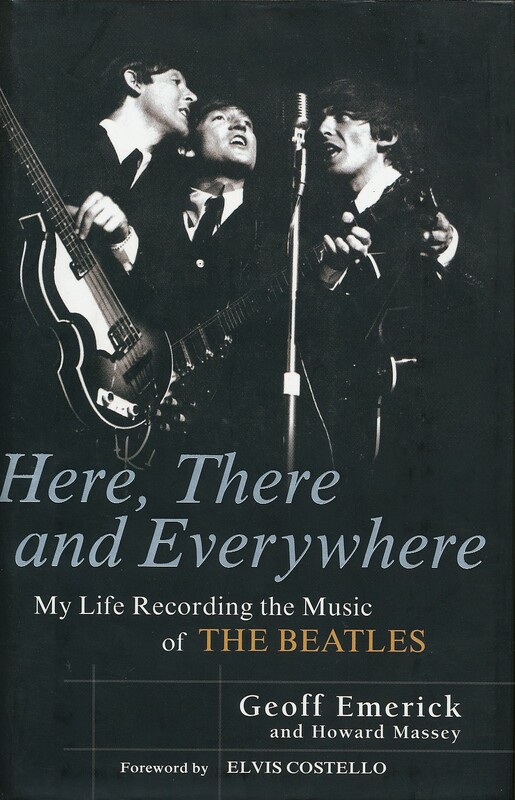 This entry was posted in Beatles, Beatles Books, Beatles Collecting, Beatles Music, EMI Records, George Martin and tagged Beatles, Beatles Books, Beatles Collecting, EMI Records, Geoff Emerick, George Martin, Here There and Everywhere by beatlesblogger. Bookmark the permalink. The book, indeed a splendid read, is full of mistakes I’m afraid. It gets rather bad critics from ‘the people who were there’. To give you two examples: Emerick writes that the birds heared on ‘Blackbird’ were there because Paul recorded the song outside the studio, and at least some birdsounds are thus from the exterior of Abbey Road. Second he writes John hated O-bla-di-O-bla-da so much he refused to set foot in the studio when they were working on that song. Nót, you can hear his voice throughout the song! I recommend the Ken Scott book. That seems like a pretty detailed description. He doesn’t say that the reason the bird noises are on the track is purely because it was recorded at the back door. He acknowledges the actual blackbird birdsong is a sound effect added in later – but that there are some other natural bird sounds in there that were recorded at the time. It’s well known that the mono and stereo mixes of the song are different, especially in their use of the bird sound effects. If you listen closely to the mono mix you can hear some other birds in there apart from the blackbird sound effect recording. That I think gives added credibility to Emerick’s recollection. As to Lennon not appearing at all on ‘Ob-La-Di-Ob-La-Da’, well that’s just not what is said in the book. Emerick makes it clear that John was involved in the recording. It was a song he detested, yes, and like the others he got heartily sick and tired of the number of times that Paul wanted to rehearse and record the song. It took days in the studio to get right, and in fact at one point Lennon did storm out of the studio – but he definitely played on it. See pages 246-248. Well, I wasn’t there, that’s all I know ;-). Thnx for your splendid blog! If you paid attention to the section on O-bla-di-O-bla-da you would have noticed that Emerick wrote that because John was tired of recording the song so much that he came in and took charge by recording the song with a few of his own changes. Emerick later said that they ended up using one of the takes from John’s session. I was lucky enough to be at an audio industry event in Sydney several years ago which included a session with Geoff Emerick (and Richard Lush, Geoff’s assistant engineer), and I asked two questions: one was about the absence of Paul playing bass on ‘She Said, She Said’ after a reported disagreement, and the other was about the mixup that had the incorrect matrix version of side 2 of the mono Revolver briefly released and then recalled when it came out (it contained a noticeably different version of ‘Tomorrow Never Knows’). Neither of them had any recollection of either event, even though I would assume that each would have been fairly significant events at the time. It just goes to show that when you’re talking about things that happened in your working life some forty-odd years ago, you’re not always going to remember all the details! As for ‘Ob-La-Di-Ob-La-Da’: if I’m not mistaken, things turned around when John came into the studio one morning and bashed out what we now know as the introduction to the song on the piano, after days of the band trying to get the song right. It changed the complexion of the song, and they then were able to knock it over fairly quickly. 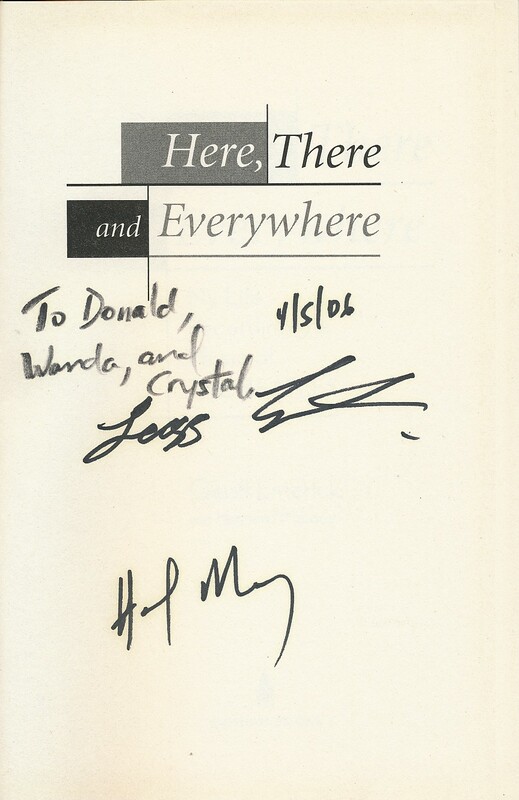 Emerick was a personal hero of mine – but he didn’t do himself a favour with this book of “fairy tales”. Ken Scott listet some of the worst mistakes, but why even bother to go into detail, when there are so many obviously made up stories?! Emerick writes about 300 words about how John recorded “his” aaaaahs in “A day in the life” – although it’s obviously Paul on the record! There’s no shame in being young and mostly high while working with the most important band ever, but it IS a shame to make up fairy tales about this time and sell them for fact. Nope, you’re completely mistaken – although you’re definitely not alone in that mistake. There are youtube videos with the isolated vocals, and not only can you clearly hear Paul on the main voice but also John’s typical nasal high falsetto in the background. 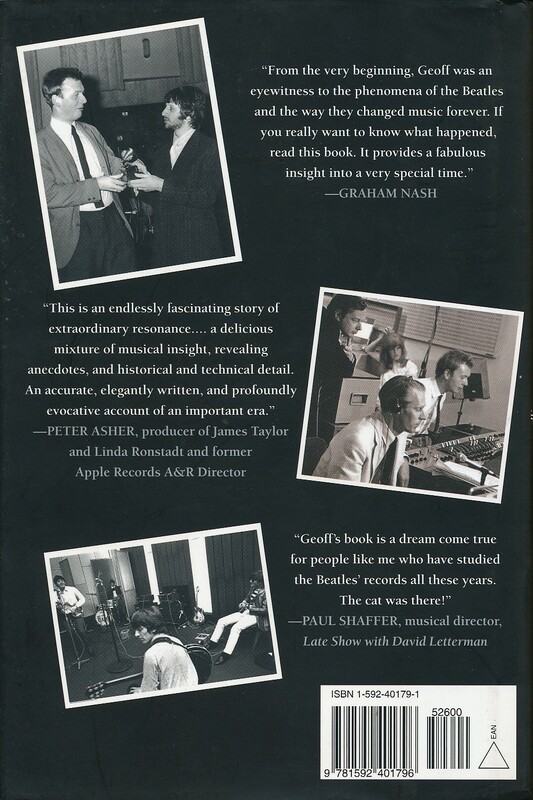 There’s a lengthy articel about it on the website “The Beatles rarity” with all the needed proof. As you can see in the comments, not even THAT is going to prove some people the truth. But as long as you want to believe it’s John, that’s ok, it just doesn’t change the fact it is Paul. The aaaaaaah is definitely john..
No, you’re mistaken – but not alone in that mistake. See reply above.